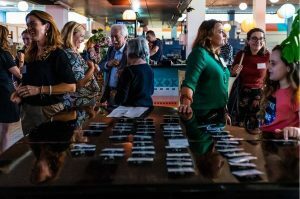 The 5th of October 2018, I attended the ‘Wereldwijven’ symposium in Amsterdam. ‘Wereldwijven’ is a Dutch word and means loosely translated “World Wife’ or ‘Wife of the World’. The Wereldwijven is a network of Dutch-speaking women who live or have lived in different parts of the world. Five women, in four different countries and in three different time zones developed the online platform www.dewereldwijven.com about a year ago. In the mean time, it has grown into a network of more than 80 women, living and working in all corners of the world! 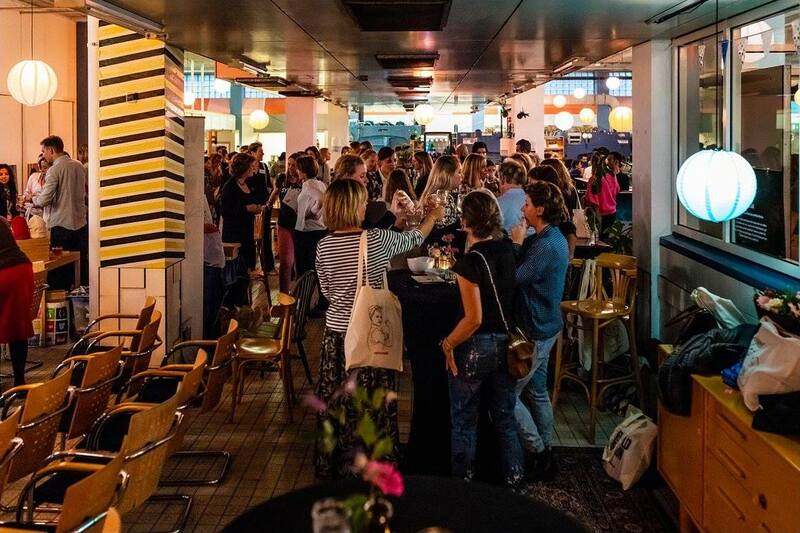 What I like about this network is that all women have their own unique story on why they left the Netherlands and have a special vision of the world around them, as they all experienced how it is like to live and work in another country. Since 2013, several women of the network have been writing inspiring stories about their daily lives for LINDAnieuws.nl. The pictures in this blog post are taken by Sandra Stokmans. When I was in Liberia this summer for an assignment for the UN, I met a Dutch lady in a hotel in Monrovia. We had a very nice conversation, ordered a cappuccino and she told me about this network. She encouraged me to become a member. I became very enthusiastic and when I arrived home, I ordered the Wereldwijven book that was published in 2017 with 27 portraits of pioneering Dutch women. The book is filled with fascinating stories written by Dutch women about their lives in different places in the world. It reads so easily and the beautiful pictures ensure that you can dream away and feel part of the lives of these adventurous women. I must say that I recognized myself in many of the stories of these women. 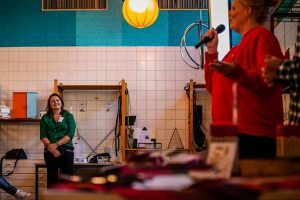 The many dilemmas these women face, the realization of how fortunate we are that we were born in the Netherlands, but at the same time the urge for adventure, the desire to do something for someone else and to make the world a bit more beautiful. It was so nice to find out that Liliane Ploumen wrote the foreword in the book and that the royalties of the book will be donated to She Decides, a global movement to promote, provide, protect and enhance the fundamental rights of every girl and woman. The slogan of She Decides is the following: “She must decide about her own body – so that she can decide about her life and her future. Without question.” I am very familiar with She Decides and I fully support this movement. To my mind, decision-making rights of women and girls around the world are very important. The location of the symposium was great: A Beautiful Mess in the former Amsterdam Bijlmer Bajes (a prison). A Beautiful Mess is an initiative of the Refugee Company, a foundation whose mission is to empower people with a refugee background, as Fleur Bakker explained. The other speakers at the symposium that inspired the audience worked for Return to Sender, Free a Girl, ActionAid, De Wereldwijven, Hatsup and VanHulley. Ingrid Claasen explained for example that Free a Girl is dedicated to liberate minor girls from prostitution and prosecute the offenders. Free a Girl is working in different countries, including Bangladesh, Brazil, India, Iraq, Laos, The Netherlands, Nepal and Thailand. In the past 10 years, they have contributed to free 4.217 girls from brothels in Asia. At the end of her presentation, she showed an interesting video of Yolanthe, who is an ambassador of Free a Girl. 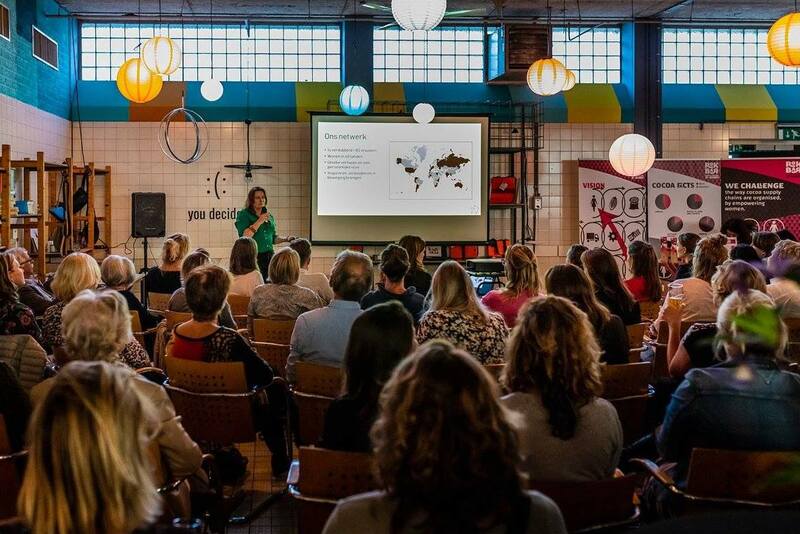 The next presenter was Marijtje Ophof, who explained that Return to sender is creating employment opportunities for women in developing countries, thus enabling them to generate their own income and offering them independence and control over their, often male dominated, lives. They had a stand at the symposium where they sold amazing products from all over the world. The next presenter was Cecile Korevaar. She gave a presentation about the two books that she authored. One book is focusing on the Samburu’s in Kenya. It is written in Dutch and entitled ‘What you don’t know’. The other book that she is currently working on is focusing on the refugee crisis in Europe and she shared with us her experiences in relation to the research that she is currently conducting. Jolijn Creutzberg gave a presentation about her initiative called Van Hulley. I am a big fan of her social enterprise, as her company is making boxer shorts from the fabric of old shirts. The boxer shorts are made by women who want to work, but do not yet have the necessary papers to work on the labor market in the Netherlands. At Van Hulley they gain work experience and follow a training course. A day and a half a week they also go to school, which brings those women closer to realizing their dreams. Before I went to the symposium in Amsterdam I had a look at my husband’s closet and took an old shirt with me that he doesn’t wear any more. I look forward to receiving the result in about two weeks! Another initiative that was also very creative and inspiring was Hatsup, an initiative of Aishiah Snoek and her boyfriend Niels Visser. Aishiah studied clinical neuropsychology and explained the need for mental and psychological help for refugees and people living in war situations. Therefore, they sell hats and for each hat sold, one person in a crisis area is provided with psychological help. As she said: “For every hat sold, hatsup puts a smile on the face of the customer and a smile on the face of one person in mental distress. One hat, two smiles!” They collaborate closely with War Child to guarantee that their funds are used in an efficient and effective way. Of course I became very enthusiastic about this initiative and bought one beanie after their presentation. The last presentation was by Rachel Walker of Action Aid. She explained that at the heart of ActionAid’s work lies the core belief in each human being’s fundamental right to food, shelter, work, education, health care and a voice in the decisions that shape their lives. After the presentations, we had time for drinks and networking. I absolutely enjoyed this afternoon in Amsterdam and I am proud to be a member of this fantastic network!